Just starting to hit it's drinking window! Decant it and enjoy! Shows firm tannins and pretty structure for the vintage. Tight and precise with super polished tannins and a lovely center palate of ripe fruit and earthy undertones. Very, very refined. Classy. Better in 2019. 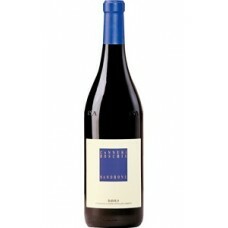 With a core of cherry flavors and assertive tannins, this Barolo is right out of central casting. Accents of mint, tar, tobacco and tea add dimension. The finish is linear and firm. Fine acidity keeps this focused and long. Best from 2020 through 2035. 220 cases imported.